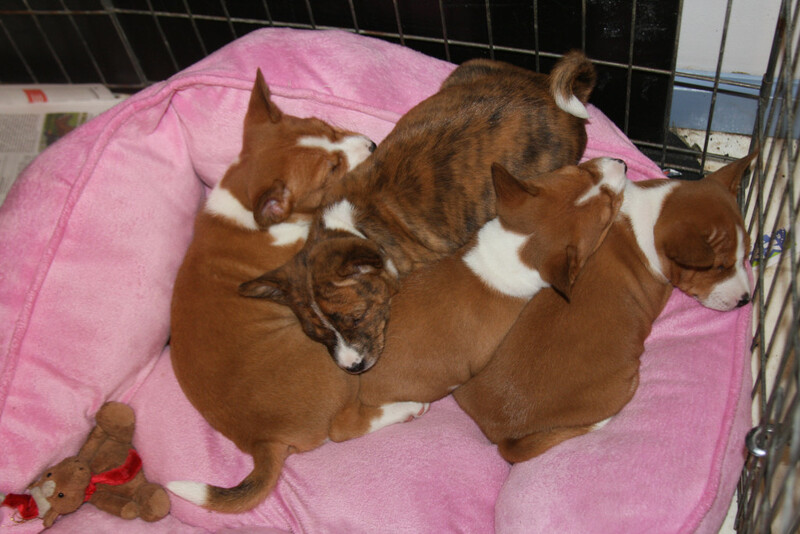 Basenjis are small, short-haired dogs with erect ears, tightly curled tails and graceful necks. 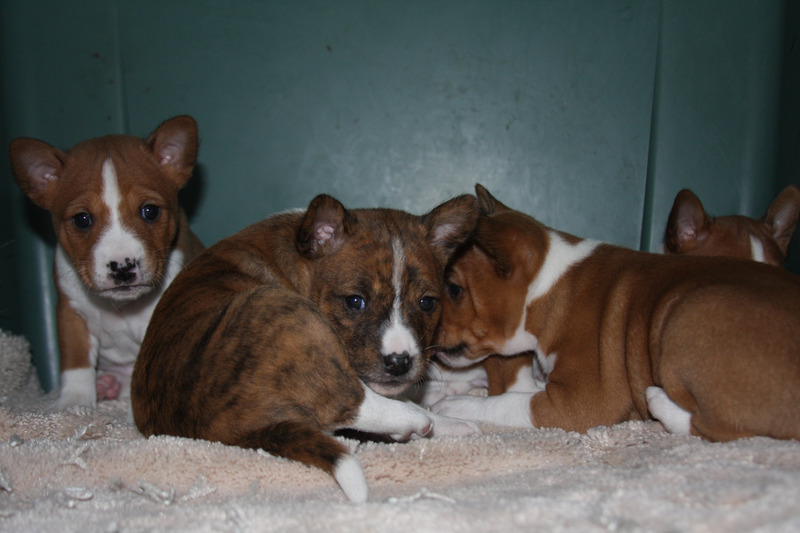 The Basenji is alert, energetic, curious and reserved with strangers. 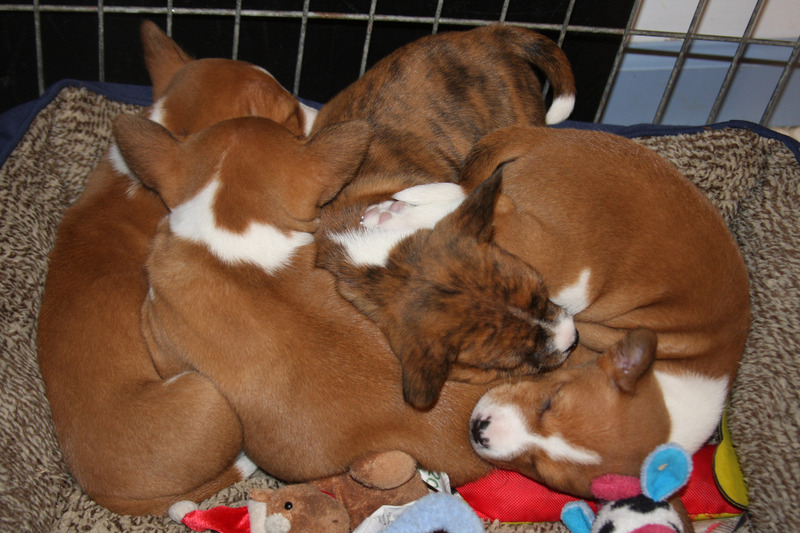 The Basenji tends to become emotionally attached to a single human.